Curious Appetite curates bespoke culinary experiences in Florence, Bologna and around Tuscany. What does Curious Appetite offer? Curious Appetite offers travel experiences that will enrich the curious traveler while promoting the best of Italy. Our sincere hope is that after tasting with us, you'll take home a heightened understanding of regional food, Italian culture and cuisine with warm memories. Why choose Curious Appetite? 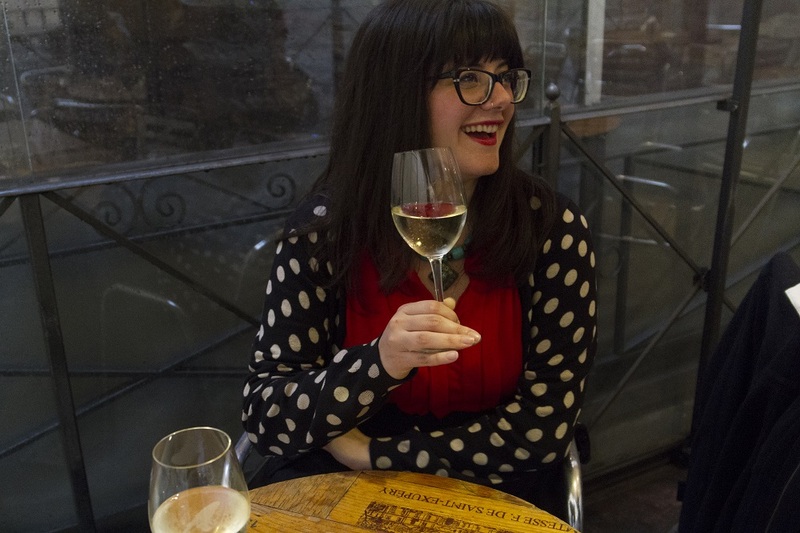 All tours & activities have been curated, tested & personally approved by Coral Sisk, a published food writer with extensive experience in the food, wine & hospitality sector. Trusted travel publications like Conde Nast Traveler and Lonely Planet recommend us in their guides to Florence & Tuscany. Our team of experts are fun company and beyond exceptional- it’s no wonder they consistently receive 5 star feedback. Rest assured you are in excellent hands with worldly locals who are fully immeshed in Italian culture, food and drink. We take great pride in our work while striving to create a friendly, all-inclusive atmosphere. We have exceptional relationships with all our partners and collaborators, from the tour hosts, chefs, cheesemongers to the farmers at the market. We have a humane approach towards travel and wish to provide more than just a food tour, but also delicious experiences to bring you closer to the local culture. We have incredibly high standards for service, quality and your enjoyment. What IS Curious Appetite and who is the founder? Curious Appetite Travel is a small company providing in-depth cultural food & drink experiences created by Coral Sisk the author of Curious Appetite, a food blog which started in 2010. Besides being passionate about all things Italy, Coral holds a B.A. Degree in Italian Studies from the University of Washington (Seattle, USA) with a strong background in food and wine, included being a certified Italian Sommelier via FISAR Firenze. Coral developed these tours to bridge the gap between curious travelers, fantastic food, quality drink and international culture. Our walking tours in Florence are very small groups (usually 6-8), are available daily and so are our curated wine celalr adventures. These are not your classic food tours- these are gourmet tasting experiences. We are obsessed with quality and authenticity. All tastings are led by friendly experts (coined "culinary ambassadors") who live and breath food, drink and Italian culture- not lecture-style tour guides. We take an enormous amount of pride and responsibility in providing the finest experience possible. Our team of specialists speak English and Italian and are on top of the latest in Italian cuisine while deepening their knowledge of its historical legacy. And above all, we have lots of fun while indulging, exploring and creating. In addition to providing euphoric tasting experiences, we support the small guys. We visit independent shops and promote purveyors who toil ardently to procure traditional, handmade goods. Our cooking lessons enlist women cooks and chefs. We care about artistry, sustainability and protecting the traditional recipes behind regional products. Rest assured that any food tour, wine cellar tour, event or cooking class utilizes wholly seasonal, artisan goods and sustainable production methods. By choosing to experience Curious Appetite Gourmet Tours, you are in effect supporting small businesses and local independent artisans. Who are these experiences for? These unique, boutique tastings are intended for food lovers in search of genuine culinary experiences in Italy. We welcome anyone curious about Italian food and drink culture to experience one of our truly bespoke foodie activities in Florence or wine cellar adventures in Tuscany. Still have some unanswered curiosities? Visit our FAQ page!